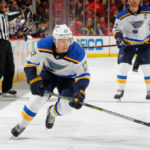 The general manager of the Edmonton Oilers, Peter Chiarelli should consider opening up dialogue with the St. Louis Blues about trading for left-winger, Jaden Schwartz. It’s not a secret that the Edmonton Oilers have been struggling. At this moment, they are 10-11-2 and currently are in sixth place in the Pacific Division. Unfortunately, the Oilers are having trouble scoring goals. If you look at their Goals For/Games Played (GF/GP), they have an average 2.78 GF. When you compare their GF to the rest of the NHL, you’ll see that they are very low on the totem pole. Their GF/GP is tied with the Boston Bruins as the 22nd best GF/GP in the NHL. Their low goal scoring can be attributed to a collection of sub-par wingers. If you look at Chiarelli’s poorly constructed roster, you’ll see that the wingers that he has are slowing the club down. 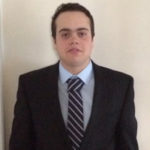 Chiarelli and his newly-hired head coach, Ken Hitchcock has Drake Caggiula playing alongside Connor McDavid and Leon Draisaitl. Yes, you can put almost any winger alongside McDavid and it’ll probably work out. Just look at what the Pittsburgh Penguins did in the past when they had Pascal Dupuis playing with Sidney Crosby. Yet, it’d be better to arm McDavid with one or two stellar wingers. That would allow Hitchcock to move Draisatl down to the second line and have three solid lines led by excellent centremen. He could have McDavid on line one, Draisatl on line two and Ryan Nugent-Hopkins on line three. You could argue that Chiarelli would avoid adding another winger after some risky trades in the past, but I wouldn’t. Let’s put aside for a second that Chiarelli dealt Taylor Hall to the New Jersey Devils in one of the most controversial trades in league history. It happened and let’s move on. We can’t dwell on the past, but what Chiarelli can do is try to save himself from being fired by being a buyer prior to the deadline. Unfortunately, I don’t have much faith in Chiarelli, but he could surprise us. You never know what’s in store. Just imagine if Chiarelli were able to strike a deal with Doug Armstong, the general manager of the Blues for Jaden Schwartz. Before I go on, Schwartz is injured at the moment, but he should be back in early December, per a report from CBS Sports/Rotowire. Schwartz is an NHL proven winger and has shown that he’s capable of a 60+ point season. You’d have to figure that if he were to be paired with McDavid that a 60+ point season could easily happen. 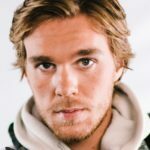 McDavid is a scoring machine and currently owns a rate of 0.81 Total Goals/60 and 1.79 Total Assists/60. With McDavid and Schwartz together, you can expect those numbers to potentially go up. Fortunately for the Oilers, they have many assets that could potentially part with to bring in Schwartz. They could dangle some of their prospects such as Kailer Yamamoto, Ethan Bear, Caleb Jones and/or Tyler Benson in front of Armstong and see if he bites. Chiarelli could also use Jesse Puljujarvi or Darnell Nurse as trade bait. You might ask why would the St. Louis Blues give up on Schwartz? Well, I’m not saying that Schwartz will definitely get moved, but my guess is that Armstrong’s leash is a bit longer than Chiarelli’s. The St. Louis market isn’t as strict on success as the Edmonton market, which means that Armstrong might have another nine lives. If he does have another nine lives, he might be intrigued to add to his farm system or shake up his roster a bit. Plus, while Schwartz isn’t a UFA in the summer, his No-Trade Clause kicks in next year. His NTC will make it more challenging to trade him if the Blues decide to do so in his contract year. Perhaps, it’s time to cash out on Schwartz now rather than later when the Blues will have to trade Schwartz to a team on his desired list. At the end of the day, if Chiarelli pulls the trigger and adds Schwartz, the Edmonton Oilers will be much better off in the offensive zone.